Charles Dickens was an English writer and social critic. During his lifetime, his works enjoyed unprecedented popularity. He is now considered a literary genius because he created some of the world's best-known fictional characters and is regarded as the greatest novelist of the Victorian era. His novels and short stories enjoy lasting popularity. Dickens was born on February 7, 1812 in Portsmouth, on the southern coast of England. His father, John Dickens, was a naval clerk who dreamed of becoming rich and his mother, Elizabeth Barrow, aspired to be a teacher and school director. But the family’s financial situation had grown worse because John Dickens used to spend money dangerously beyond the family’s means. Consequently, John was sent to prison for debt in 1824, when Charles was just 12 years old. After his father's imprisonment, Charles Dickens left school to work in a factory. Despite his lack of formal education, he edited a weekly journal for 20 years, wrote 15 novels, five novellas, hundreds of short stories and non-fiction articles, lectured and performed extensively, was an indefatigable letter writer, and campaigned vigorously for children's rights, education, and other social reforms. Dickens's literary success began with the 1836 serial publication of The Pickwick Papers. Within a few years he had become an international literary celebrity, famous for his humor, satire, and keen observation of character and society. His novels, most published in monthly or weekly instalments, pioneered the serial publication of narrative fiction, which became the dominant Victorian mode for novel publication. Dickens was regarded as the literary colossus of his age. His 1843 novella, A Christmas Carol, remains popular and continues to inspire adaptations in every artistic genre. Oliver Twist and Great Expectations are also frequently adapted, and, like many of his novels, evoke images of early Victorian London. His 1859 novel, A Tale of Two Cities, set in London and Paris, is his best-known work of historical fiction. Dickens's creative genius has been praised by fellow writers—from Leo Tolstoy to George Orwell and G. K. Chesterton—for its realism, comedy, prose style, unique characterizations, and social criticism. On the other hand, Oscar Wilde, Henry James, and Virginia Woolf complained of a lack of psychological depth, loose writing, and a vein of saccharine sentimentalism. The term Dickensian is used to describe something that is reminiscent of Dickens and his writings, such as poor social conditions or comically repulsive characters. 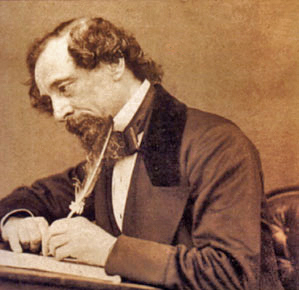 Charles Dickens died on June 9, 1870 of a stroke. He was buried in Poet’s Corner at Westminster Abbey. Thousands of mourners came to pay their respects at the grave and throw in flowers. He left school at an early age. 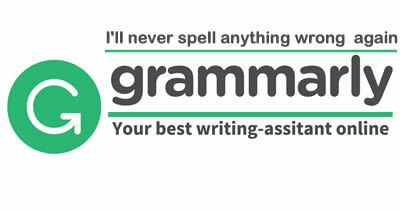 His novels were characterized by realism. He died due to a stroke.